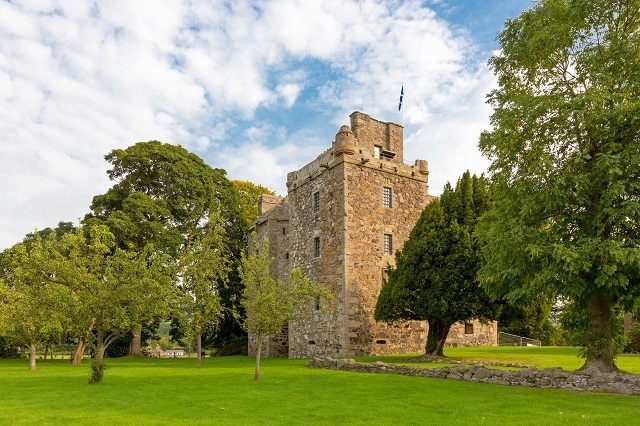 Elcho Castle is a handsome and complete 16th century fortified mansion with three projecting towers on the banks of the River Tay. This is a castle to explore. Parade up the grand staircase or scurry up the service stair, venture into the well-appointed kitchen and admire the views over the countryside from the high battlements. The remarkably complete house of the 1500s was the country retreat of the wealthy Wemyss family. Its orchard has been replanted with traditional varieties of apple, pear and plum and has become a haven for butterflies and wildlife. 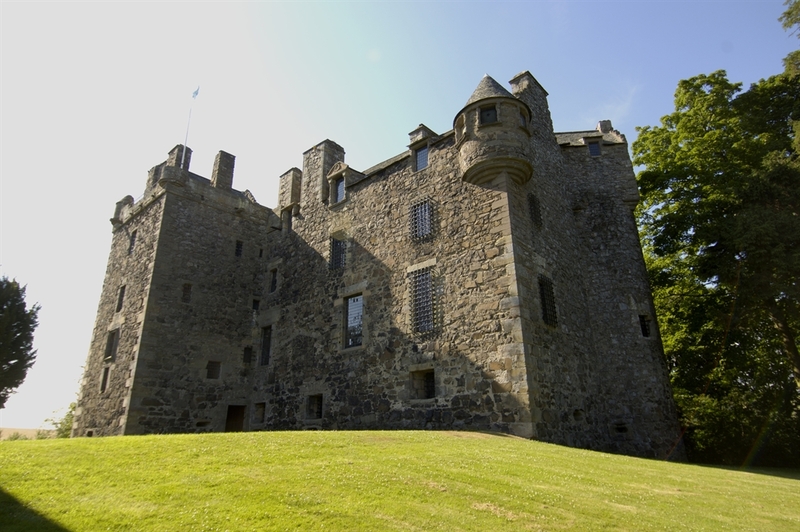 The castle still has in place original wrought iron grilles to protect the windows. The interior is complete and roofed, with remains of decorated plasterwork. 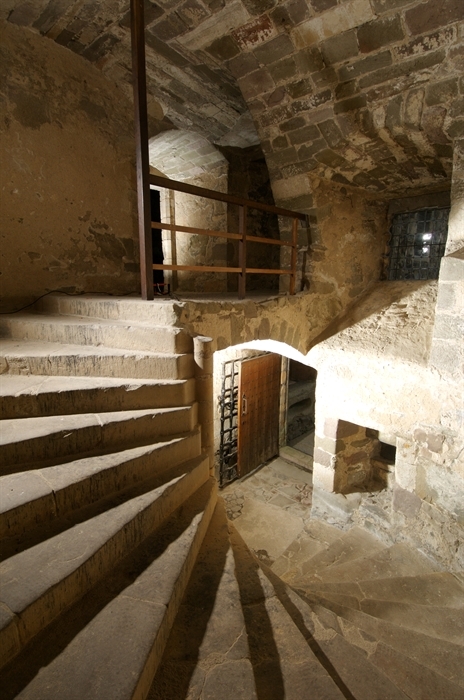 The ground floor of the castle is not suitable for wheelchair access due to uneven floor surface. 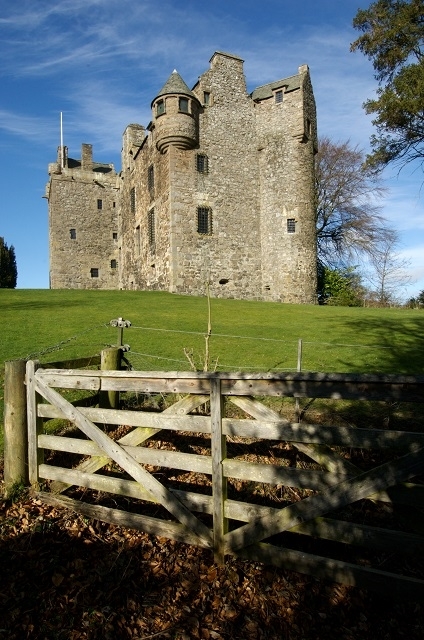 The castle exterior can be accessed from the grass grounds and adjacent grassed orchard. 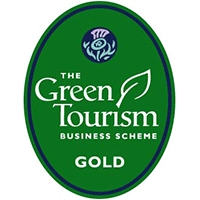 The toilet area is located down a steep slope and is not suited for those with limited mobility or in a wheelchair.